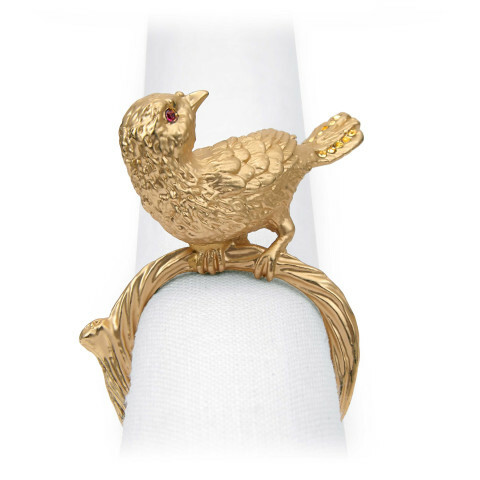 These charming bird napkin rings from L'Objet are plated with 14 kt gold and yellow crystals, or in platinum with white crystals. Perfect as a gift or for your own table. Shipped in a presentation box for storage or gift-giving. 14 kt Gold or Platinum.